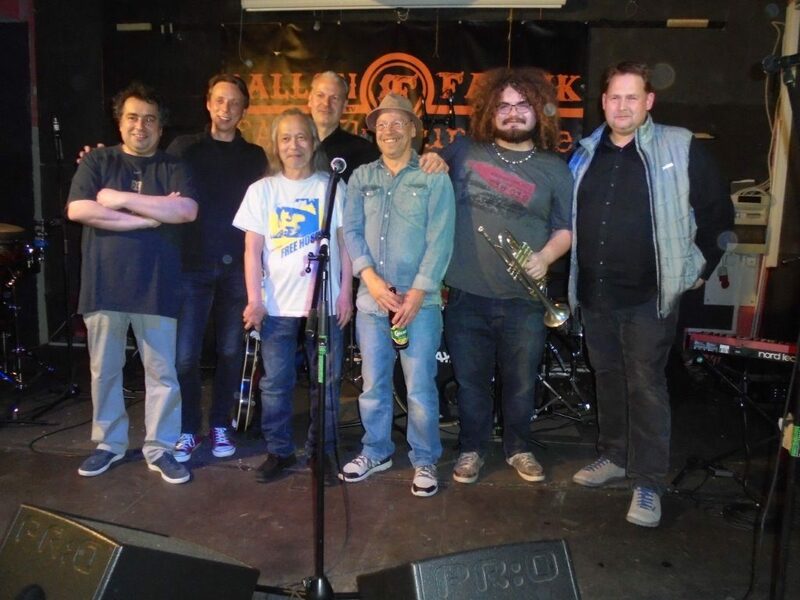 Damo Suzuki’s Network is an assembly of musicians. It’s a collective meeting place where like minded people go. In 1998, I toured as support to the Network in the United States. After three concerts, I was invited to perform with them. Both Damo and Michael Karoli came up to me and said, ” but of course you will play with us from now on.” I felt lonely on stage, so I asked Damo if my friends Tommy and then Dustin could also play with us and he of course said ” Yes, why not.” This process says more about Damo than me. The goal is simple, for musicians to communicate with each other and with the audience. There are no ego’s involved. Musicians send smoke signals to each other. They respond in kind. Damo selects musicians who have the potential to communicate freely and who are able to respond honestly to each other in the here and now. This also involves a respect for and dynamic communication with the audience. Both Damo and Can refer to this process as Instant Composing. Each concert is a unique event. There are never any rehearsals. Mistakes are moments of opportunity. For the musician, this process is in equal parts exciting and terrifying. I remember those joyous words that introduced the sixties cartoon series Stingray, ” Anything can happen in the next half hour.” For Damo, the half hour may well be two or four hours but the same principle holds true. Anything can happen. On stage in Seattle, I had a four track tape recorder that I would occasionally use much in the same way that Holger Czukay used dictaphones with Can. I remember a tape snapping and I vigorously pulled it out of the machine, holding it up for inspection. Damo turned round and gleefully told the audience, ” see, no tapes!” Suffice to say, the tapes were not used again. It’s not that the music eschews anything really except the act of premeditation. In the Can book, Damo said, ” I’m not so much interested in anything in particular, that’s why I’m singing about nothing.” His words may not sound exactly like English or German or Japanese or French but I’m convinced that they impart meaning to everyone, regardless of mother tongue. This way of making music, as Damo often says, stems from the stone age. Instead of using thigh bones to beat out a rhythm or smoke signals to pass on messages, we now use drums, guitars or mobile telephones to communicate. Maybe we haven’t evolved as much as we’d like to think we have! The journey started many years ago and the train has clearly not reached it’s destination.